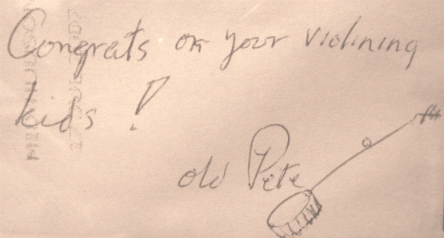 My children’s violin instructor, Ken Giles, I was delighted to discover, had once been part of a contemporary folk ensemble that, as Stephen Holden of the New York Times noted, embraced “the left-wing populism of Pete Seeger,” as it also incorporated “comedy and theatrical horseplay” into its performances. 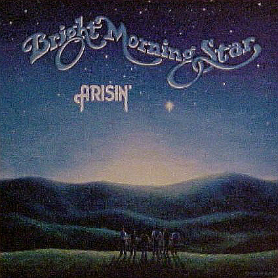 Formed in 1978 and named for an old Appalachian hymn, Bright Morning Star (“a lively and engaging fixture in the peace and antinuclear movement,” according to The Washington Post‘s Richard Harrington) once toured with Odetta and Pete Seeger, having also previously shared the stage with Holly Near, Ronnie Gilbert, John Hall, and Gil Scott-Heron. 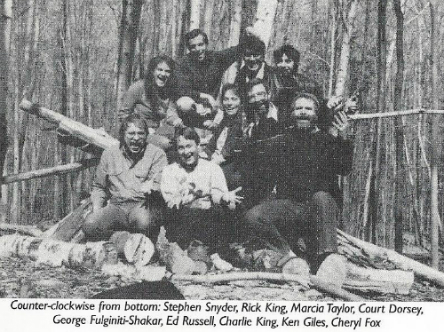 Often appearing at rallies and public events that promoted peace and safe energy, Bright Morning Star — Charlie King, Court Dorsey, Cheryl Fox, George Fulginiti–Shakar, Marcia Taylor, Laura Kolb, and Giles — would travel with over two dozen instruments, including harmonica, guitar, autoharp, stand-up bass, electric bass, piano, drums, 5-string viola/violin, banjo, recorder, and various percussion. 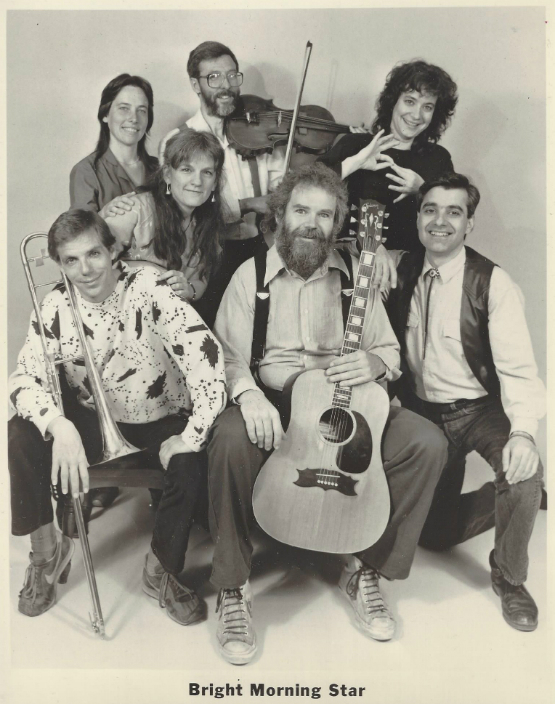 Kolb served a special role within the group as artistic interpreter for the deaf and hearing-impaired during live performance. 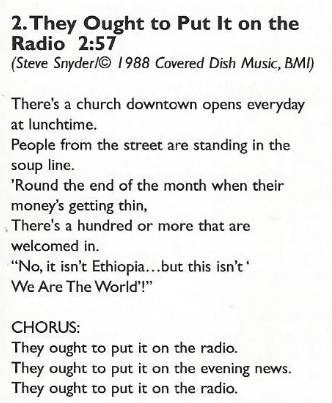 “I think the political song at its worst says that things are really bad, probably hopeless, but at least you can feel self-righteous and get a cynical laugh during the last days of the empire. There are a lot of songs written in that vein, I’m sure I’ve written a few. 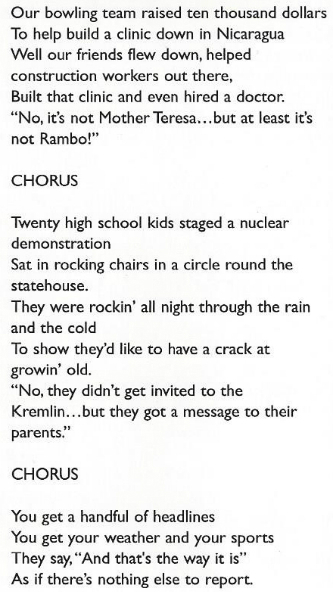 But at its best, the political song builds a sense of possibility and humor. 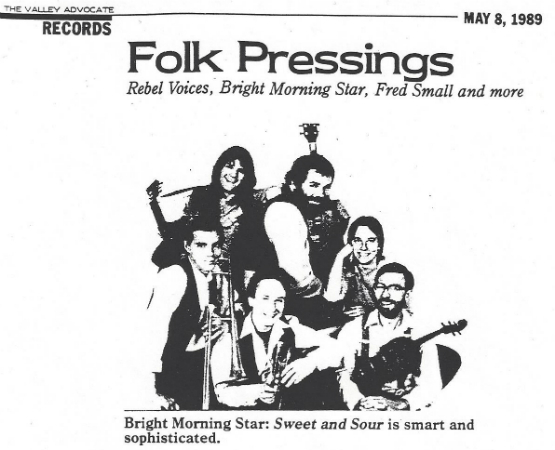 Bright Morning Star would sit still for a 40-minute interview with Studs Terkel that was broadcast on July 11, 1986. “They pollinate the grass roots. They bang away at the walls of indifference. They celebrate humanity. 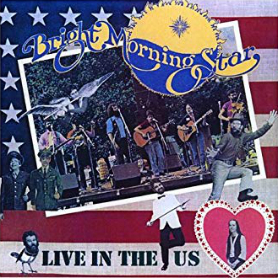 The six members of Bright Morning Star do a better job educating people to what’s right and what’s wrong on this crazy planet than a half dozen politicians, teachers, or preachers. A retired music teacher with DC Public Schools and a violin teacher with the DC Youth Orchestra Program, whose 35 years of working for health and safety programs was inspired by the social activism spirit of the 1960s, Ken Giles also enjoys singing with the DC Labor Chorus. 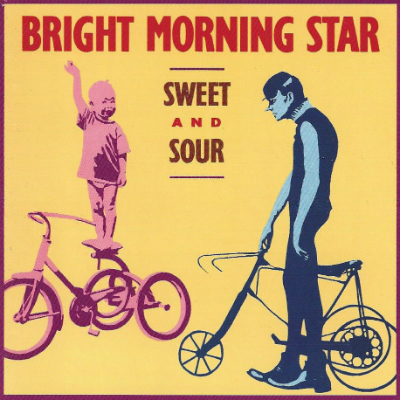 Postscript: Bright Morning Star would band together once more in 2008 for a 20th Reunion Tour, with a show at Rockville, Maryland’s Saint Mark Presbyterian Church hosted by David Eisner’s Institute of Musical Traditions in nearby Takoma Park. 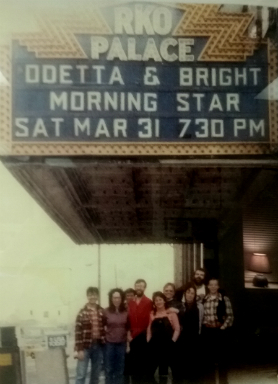 This entry was posted in Bright Morning Star, Flying Fish Records, Folk Music, Humor & Satire by Zeroto180. Bookmark the permalink. 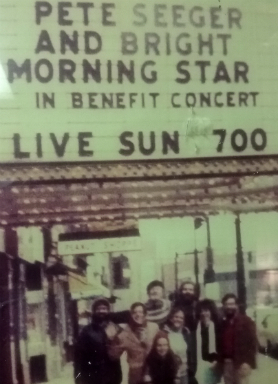 Trying to pass on to younger folks these songs of peace, civil rights, and environmental respect. My violin students play civil rights songs such as “We Shall Overcome” and learn about the history and importance of these songs. 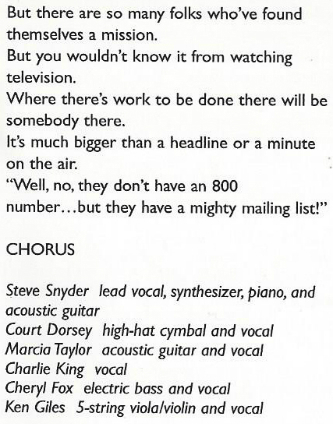 Chris Richardson’s 2 children can play those civil rights songs on their violins.